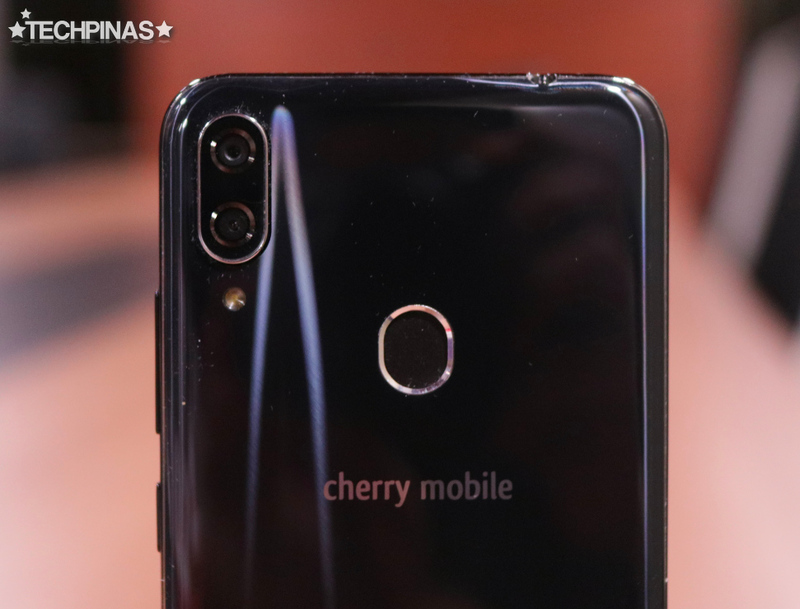 Aside from the gorgeous flagship level model Cherry Mobile Flare S7 Plus, the leading Pinoy handset maker is also slated to unveil and release other, more affordable members of the all-new Flare S7 Series of Android smartphones. 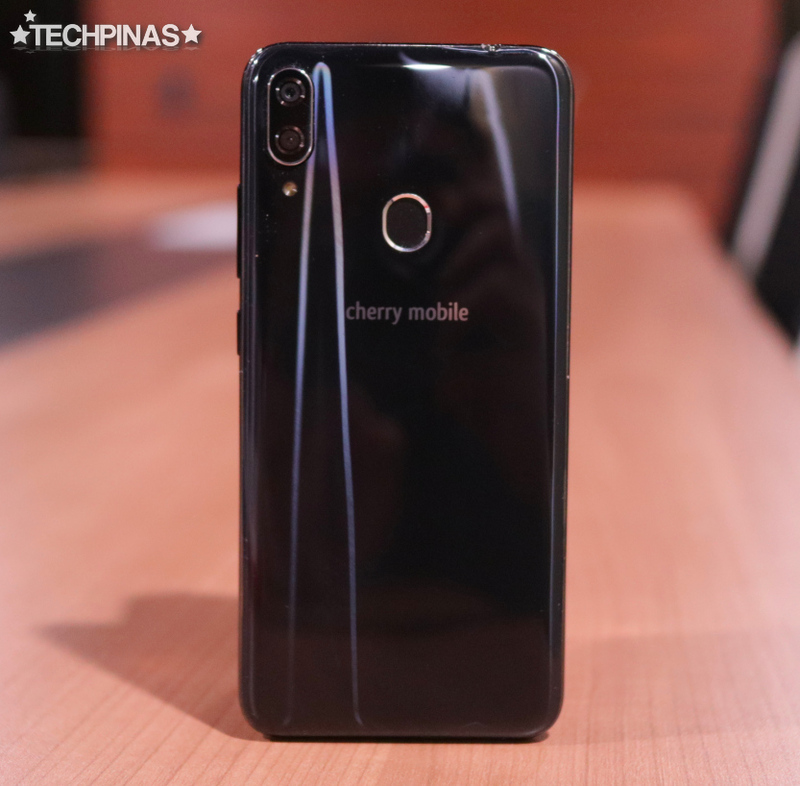 One of the most budget-friendly models in this line is the name-carrier itself, the Cherry Mobile Flare S7, which is shown in these images. 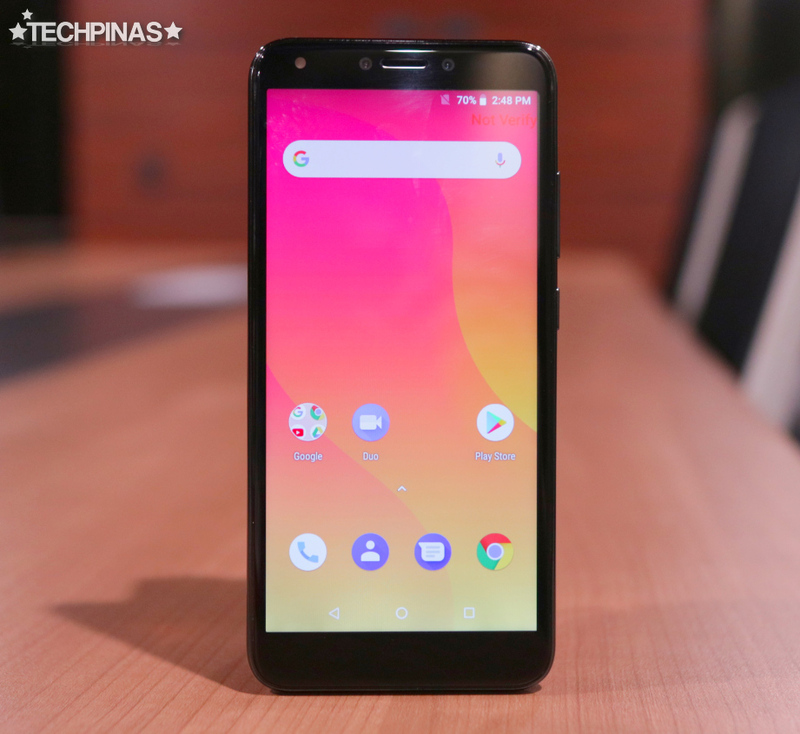 I got the chance to play with an actual Flare S7 unit last Friday, September 28, 2019 at the Cherry Mobile Headquarters in Metro Manila -- and off hand, I'd say that there are five things that I like about it. First, the 5.5-inch HD+ tall display is large enough to deliver a decent visual experience when checking social media apps, viewing photos and movies, playing light games, and reading blogs. Second, the design of the handset is pretty updated. The back has a glossy finish with curved sides and even has an oblong vertical camera module kind of like what's on the iPhone X. Third, this model has a Fingerprint Scanner at the back, which adds a veritable layer of privacy and protection for the user. Fourth, Cherry Mobile Flare S7 is one of the most affordable Android smartphones with four cameras. At the back, the phone has a 13MP + 2MP set-up that enables virtual bokeh effect. And in front, there's also the same 13MP + 12MP combo with Soft LED flash that's useful for taking selfies in dim conditions. And finally, I believe this model will cost less than PHP 5K, which means that it's going to be very accessible to every Juan! 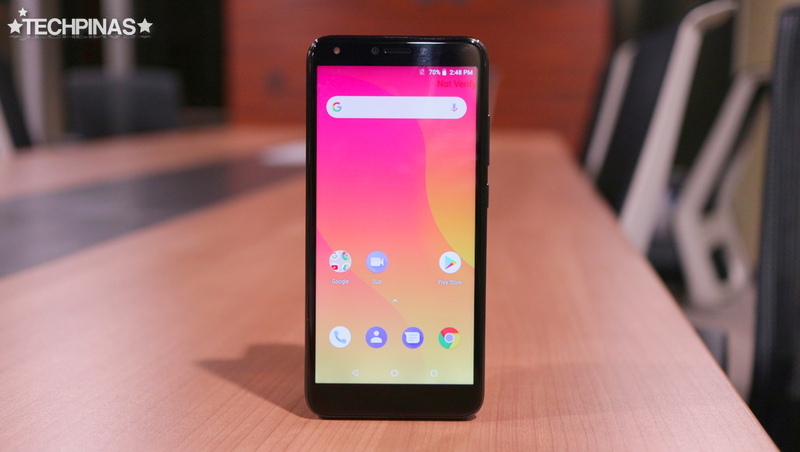 So if you're a bit tight on budget and you're planning to upgrade to a full-fledged smartphone coming to your feature-phone or if you want a reliable secondary Android handset that's easy on the wallet, this device should be great for you. Although I can't really call the Cherry Mobile Flare S7 a powerhouse smartphone as it runs its Android 8.1 Oreo operating system with just a Quad Core processor that's complemented by either 2GB or 3GB RAM and 16GB of expandable storage, I think this model certainly has its own charms given its affordable price. If you're not really a power user or if you don't play resource intensive games and applications, I think you should check out this release if you're currently on the look out for a new daily driver. Cherry Mobile Flare S7 will be officially launched in the Philippines on October 12, 2017; We'll know the official prices of this phone on that date. This model will be out in two versions: The 2GB RAM variant will be more affordable but the one with 3GB RAM should be able to deliver a smoother multitasking experience.